Hi, glamazons! I ordered some products from Ellana Mineral Cosmetics a few months ago and I've been using them as often as I can since I got them. It's been a while and I can't wait to tell you about my Ellana experience. 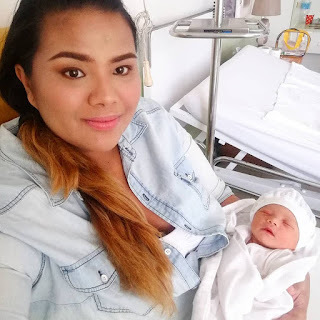 I actually decided to buy from Ellana when I was getting ready to give birth. I needed makeup that was hypoallergenic, long-wearing, and easy to apply because I know I'd be too frazzled from taking care of my baby for beauty touch ups. Below are products I got from Ellana Mineral Cosmetics. I was so impressed by the items I got that I even placed a second order soon after testing them out. This is not a sponsored post and I'm sharing my thoughts simply because I love most of the products I got. 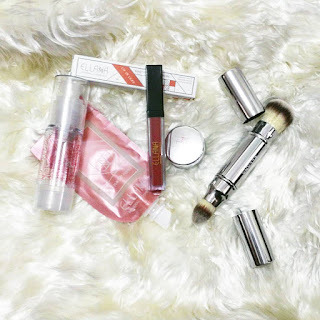 My top five favorites from Ellana Mineral Cosmetics include:1. Loose Concealer and Foundation in Smile and Radiant, 2. Lip in Luxe in Love is Amazing and Love is True,3. Blur Primer, 4. Flower Power Setting Spray, and 5. Pressed Mineral Foundation in Caramel. Their Loose Concealer and Foundation as well as their pressed Mineral foundation give you medium to full coverage. Good enough to hide most of the blemishes from my pregnancy acne and eliminates the need for liquid or cream concealers. They work so well with the blur primer and when misted over with the Flower Power Setting Spray, gives you a fresh natural glow with great coverage that lasts all day. When used correctly, I find that the products are budge-proof and sweat-proof also somewhat waterproof because it doesn't move even when it gets wet unless you deliberately rub it off with cleansing products. Their Lip in Luxe lippies remind me of Colourpop (my personal fave) and they stay on the lips all day. I can even get a few meals in without needing to reapply. I love the matte, budge-proof experience I get from them although some may find the formula too drying on their lips. I personally prefer this formula and I don't mind the extra step of exfoliating and moisturizing my lips when they're dry. The Blur Primer feels amazing on the skin and lets the mineral powder glide smoothly upon application making the task of blending a breeze on your skin. It blurs out your pores and helps you get that flawless base you need for your motd. The Flower Power Setting Spray is amazing because it not only serves as a setting spray but you can also use it as a primer. It also keeps the powder foundation from looking cakey. It gives you a nice glow and smells wonderful. Their accessories like the airless pump, magnetic compact, mirror jar, and the dual end brush were also quite impressive. I love the fact that they sell refills and encourage reuse of their containers. That to me says that this is a company that not only churns out beauty products but it's a company that consciously tries to be kind to nature. The loose pigment I got in Ethereal was also nice and I like using it to smoke or line my eyes. 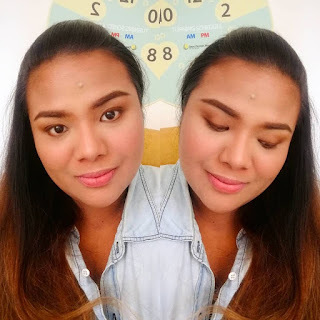 The pressed multipurpose pigments were also nice but they don't really show up on my morena skin as much as I'd like when I'm using the mineral foundations I got from Ellana. I do manage to make them work when I use a lighter liquid or cream base, like a cushion, and bronze up to correct the tone. The only item that didn't work for me was the Lip and Cheek Gel in Amethyst. I find it a little hard to blend as it sets before I can distribute it on my cheeks evenly. I just can't seem to get the right amount on my cheeks without looking like I'd been slapped silly.This is not to say that it isn't a good product, though. Maybe it's just me. Tints in general aren't my thing and I usually have a hard time applying them. If you love this product then that's great. I'd love to hear from you and learn how to apply it properly to get the best results using this product. 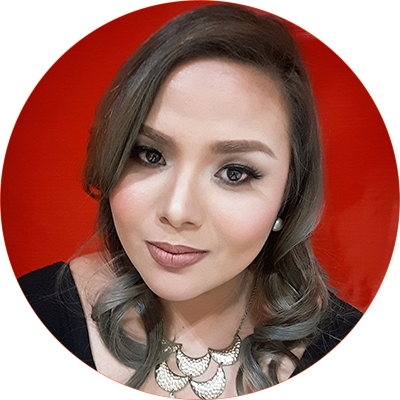 All in all, Ellana Mineral Cosmetics is an impressive brand that I would recommend to friends and readers. I love how I am still able to do motds without worrying so much that my makeup will irritate my current sensitive postpartum skin as well as my baby's delicate one. The best part? No touch ups! If anything, motds look even better after hours on the skin. That is not something I can say about a lot of makeup products out there. When I gave birth to my first baby, I was bare faced all the time so I just had to go for a made up face after I gave birth to my second baby. Ellana really helped give my self esteem a boost after 13 hours of labor and feeling so much like a potato. Finally, I leave you with my motd pic after giving birth. Try Ellana Mineral Cosmetics for beauty that truly does more. Thank you for visiting and may the glam be with you!